Extremely intelligent birds, ravens are omnivores, and are often seen sharing the carcasses of animals killed by wolves or coyotes. Ravens have been filmed doing things not essential to their survival, like carrying pieces of cardboard to the top of a roof, standing on it and sliding down. They are adept at opening packs on motorcycles when the rider is absent to get food. They know garbage bags in an open pickup truck bed might contain something to eat. 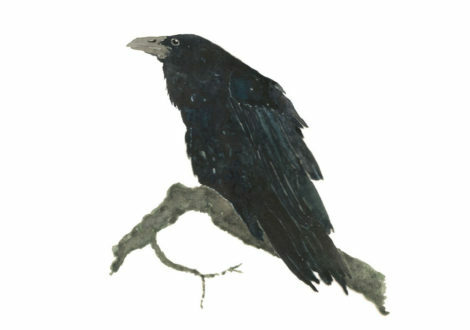 Ravens have been known to save items they find for later use, thus indicating they are intelligent enough to plan for the future. They are similar to crows, but smaller and crows favor warmer climates. Ravens are ubiquitous in the Rock Mountain states. While similar to crows, ravens typically travel alone or in pairs, whereas crows stay in groups, interestingly called a “murder.” Ravens feed on rodents, insects, bird eggs, carrion and garbage. Ravens can live long lives. One captive raven on record lived to be 69 years old. Clever and raucous birds, magpies can be found in most habitats around the region. They live among the meadows, grasslands and sagebrush plains of the West. Their nesting territories often follow streams and waterways. Although they like open areas, they stay close to cover for protection from raptors. Magpies feed on grain, insects, carrion and small mammals. They often raid other birds’ nests for eggs. Magpies seem to have no problem being around people and in developed areas. They’re commonly seen in backyards. Since 1966, the magpie population has decreased by 26 percent, due to the increased use of pesticides on the plains of North America. Partners in Flight ranks them 7 out of 20 on the Continental Concern Score. In the past magpies were persecuted by farmers, ranchers, and game managers who considered them to be vermin, but today they are fully protected under the Migratory Bird Treaty Act. These beautiful harbingers of springtime in the mountains eat many insects: grasshoppers, caterpillars and beetles are among their favorites. They typically arrive in March in the Jackson Hole area, earlier than other migratory birds. Mountain bluebirds are a thrush that weighs about an ounce. Males are an iridescent blue, and females are of a brown/gray color. This bird prefers open meadows. In Jackson Hole, they can be found in meadows with willow shrubs. They feed primarily on seeds and insects. The Wyoming State Bird, the Western Meadowlark is easily identified by its yellow chest and cheerful song. It is about the size of a robin. They favor open spaces, including agricultural lands, for their habitat. In spring, males sit on high points and sing to attract mates. These birds utilize their long, sharp beaks to pry the seeds out of pinecones, which they stash in a pouch under their tongue. They carry away these seeds to bury for the winter. Each bird buries tens of thousands of seeds each summer and remembers the locations of most of them. Seeds they don’t retrieve play a crucial role in growing new pine forests. 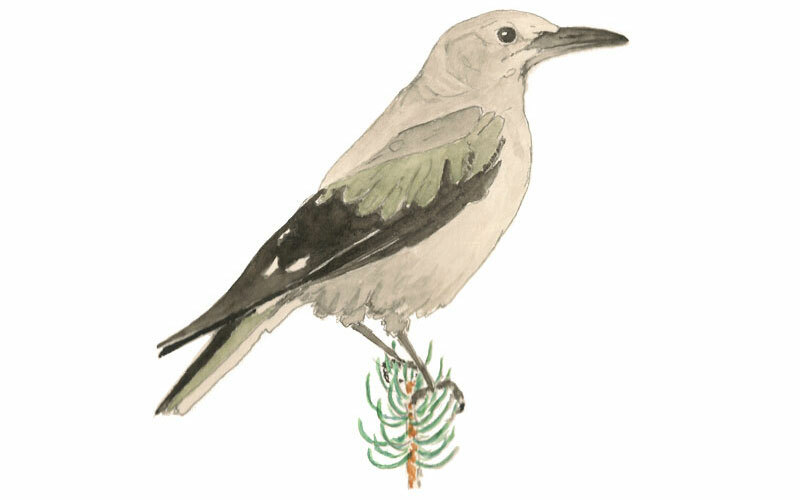 The Clark’s Nutcracker is one of very few members of the crow family where the male incubates the eggs. In jays and crows, taking care of the eggs is for the female only. This bird is known as a “camp robber,” because it will descend on your picnic and beg for food. They will eat out of your hand, but this practice is prohibited in national parks. 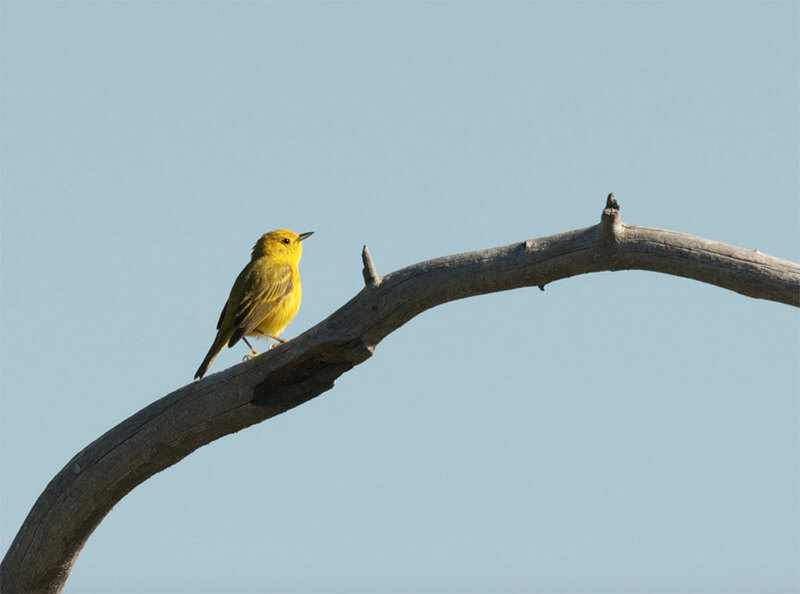 Habitat destruction, climate change and pesticide use all have negative impacts on bird populations. As human impact on the landscape increases, the habitats in which these unique animals thrive become more limited and compromised.